Kenmure was ordered from the yard of C & G Press at Belaugh on 5th November 1925 and launched in April 1926, her maiden voyage to Wroxham Broad taking place on 24th April of that year. Within a few years she was fitted with an electric motor and is thought to be the first yacht in the world (certainly on the Broads) to have been powered by electricity. She has been privately owned for the majority of her 92 years but spent some time in the hire fleets of A D Truman and Eastwood Whelpton in the 1960s and 70s. 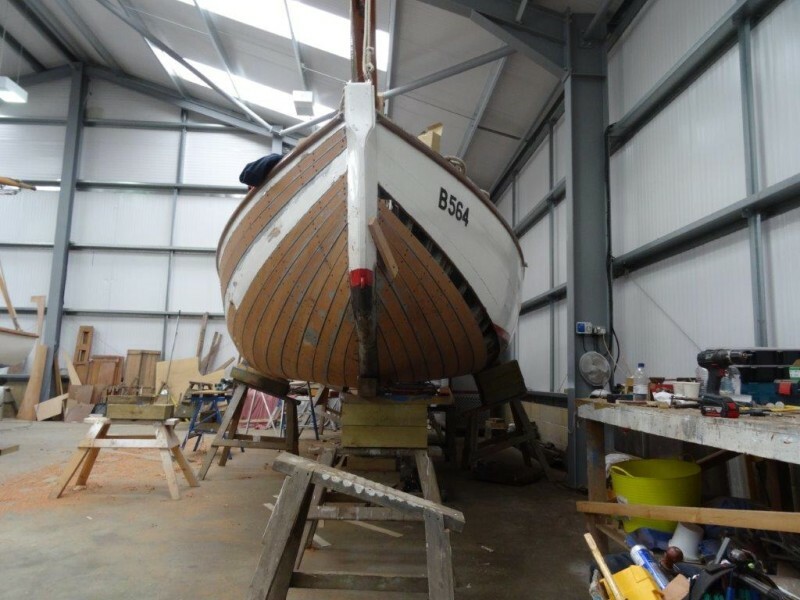 The current owners bought her in 2016 and, knowing that she needed extensive work to her planking, brought her to Cox’s Boatyard for renovation. Over the next two years our skilled craftsmen carried out an extensive restoration project. 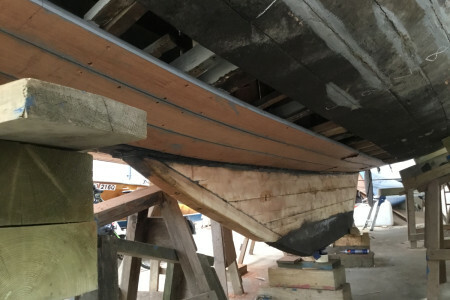 Before starting on the planking, a new redwood keel was made and fitted, followed by the replacement of several oak frames and many of the original oak ribs. 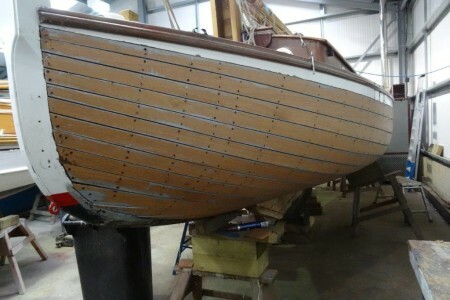 Additional ribs were also fitted to improve the stiffness of the hull. We then painstakingly replaced 778 feet of hull planking in mahogany and made small repairs to the transom and aft deck. 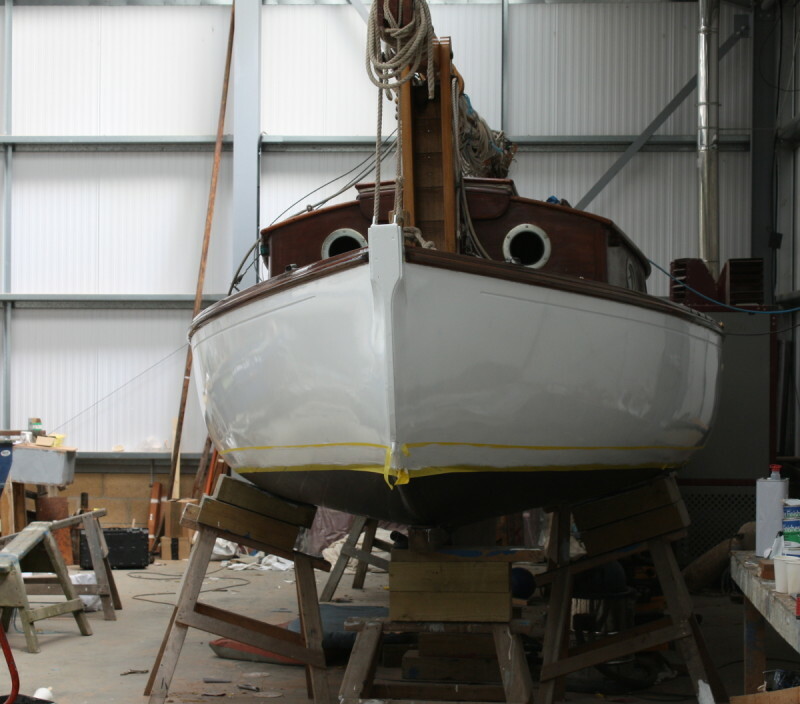 The hull was sealed with Sikaflex below the waterline and epoxy above, sanded and primed and, as finishing touches, the new waterline was marked and the cove line restored.